With its minimalist tapered design, this knob will add a subtle detail to enhance any contemporary theme. This contemporary rectangular knob in Champagne Bronze by Richelieu is the perfect complement to any dicor. The mounting hardware is included for an easy installation. 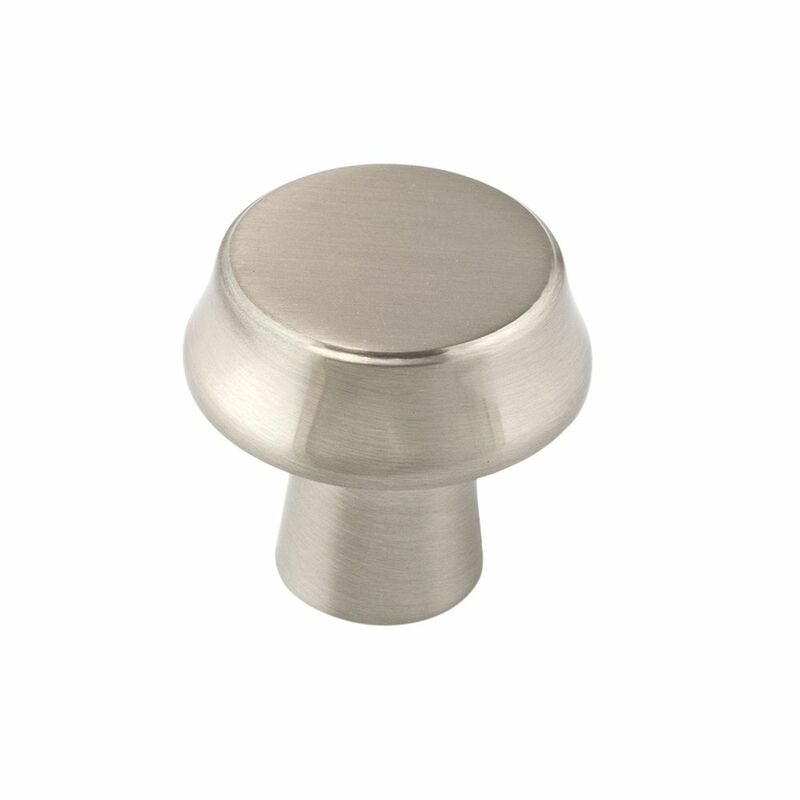 Contemporary Metal Knob 1 1/16 in (27 mm) Dia - Brushed Nickel - Québec Collection With its minimalist tapered design, this knob will add a subtle detail to enhance any contemporary theme.